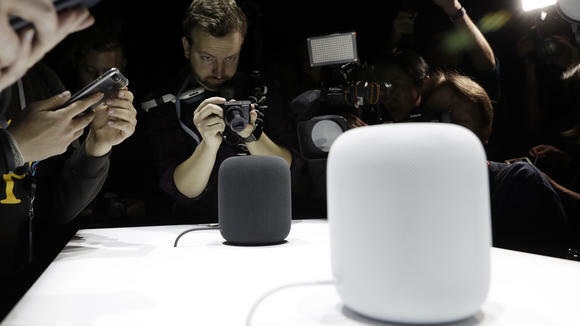 Taiwan’s Inventec Appliances, the assembler of Apple’s upcoming HomePod smart speaker, has said that it expects future voice assistant products to include facial and image recognition capabilities, such as Face ID. President David Ho told reporters after the company’s earnings conference that AI-related features make people’s lives more convenient and to make the product easier to use, according to Nikkei Asian Review. “We see trends that engineers are designing smart speakers that will not only come with voice recognition but also incorporate features such as facial and image recognition”, Ho said. Although he did not specify which product he was talking about, analysts believe he is likely referring to the next generation of Apple’s HomePod. Meanwhile, Jeff Pu, an analyst at Yuanta Investment Consulting, has said that Apple may roll out HomePods with 3D-sensing cameras in 2019. Ho confirms that his company will ship a “new voice-enabled smart speaker” by the end of the year to meet the holiday season demand. He added that his company makes smart speakers for more than one client and some of them already shipped in mid-2017. Inventec Appliances will only ship about 50,000 units of the device by the end of this year, said Arthur Liao, an analyst at Taipei-based Fubon Securities. “According to supply-chain checking, Apple is set to make 4 million units of HomePod in 2018, but we are currently a bit conservative about whether the demand would be that good,” said Liao. 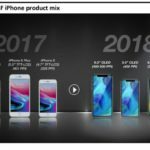 Inventec’s total shipments of smart and connected devices is expected to see a single digit growth in 2018 from this year’s estimated level of around 70 million units.